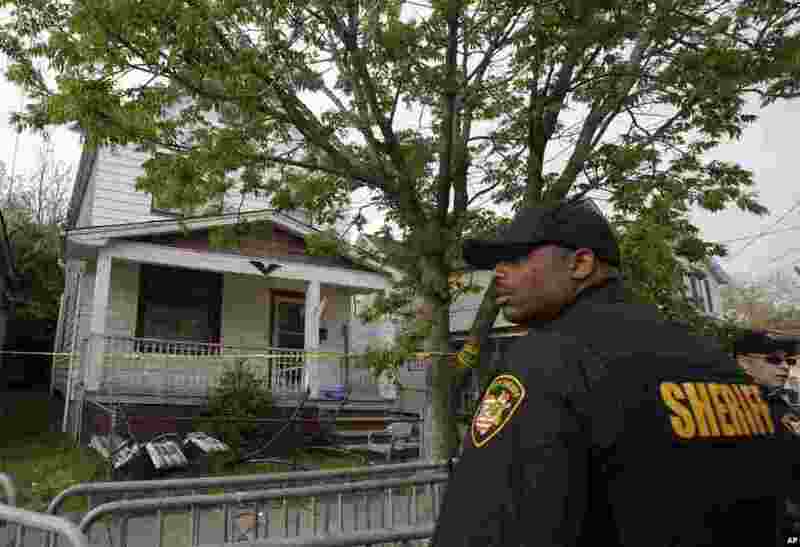 5 A sheriff deputy stands outside a house where three women escaped after going missing a decade ago, Cleveland, Ohio, May 7, 2013. 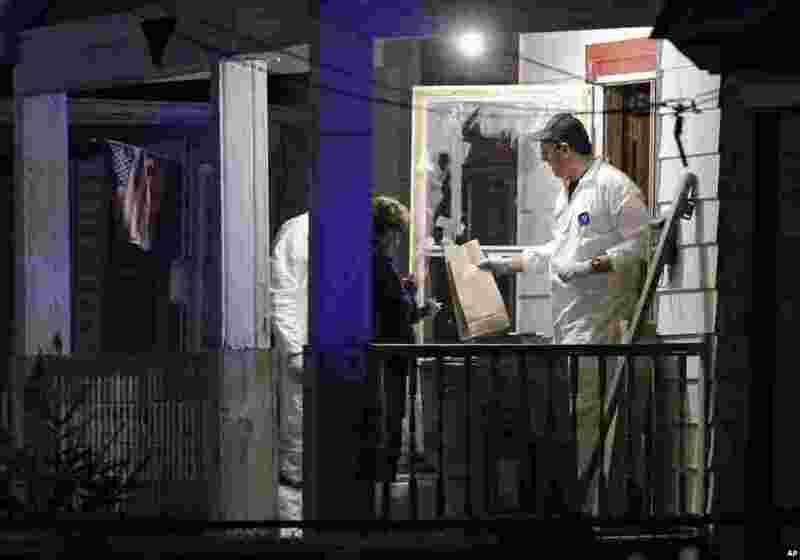 6 Members of the FBI evidence team remove items from a house where three missing women were found, Cleveland, Ohio, May 6, 2013. 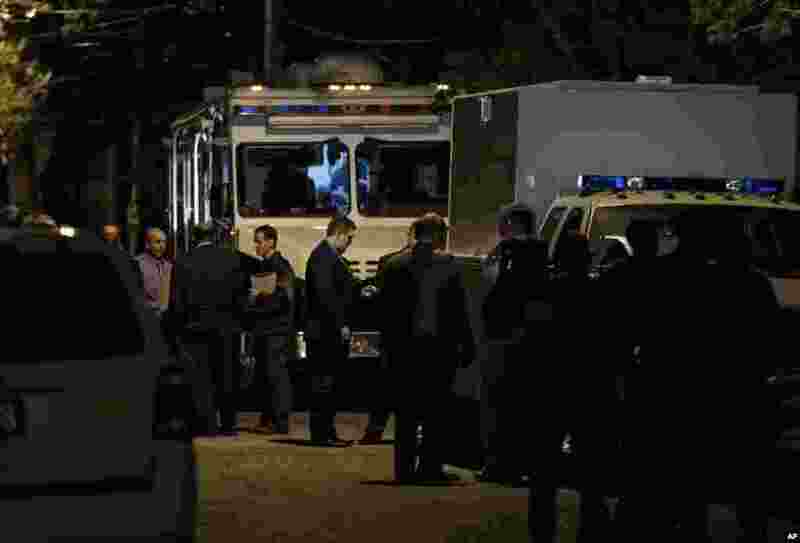 7 Police and FBI congregate outside a house where three missing women were found, Cleveland, Ohio, May 6, 2013.